You may not be familiar with the term “gearhead,” but I think there are these folks in almost any community or field. They’re the ones who mess with the “gear” and learn about it, putz with it, talk about it, buy it, sell it, read about it, take it apart, etc etc. In my music field, I was never one of those guys. I don’t know why, I just wasn’t drawn to it. I’d always be the one to prefer performing, composing, jamming or listening to music. If someone showed me some new gear, I’d say, “Sweet, tell me about it and then maybe I’ll use it!” I always left the digging and discovering to my high school best friend Phil who taught me a lot as we learned the art of guitar together from day one. I was always a little jealous of his (and other friends in college) desire to dig into the gear. Later on I realized I just had different interests and that’s okay. That’s until I became a worship director and was introduced to many more opportunities to use technology and gear with a variety of musicians, teams, instruments, venues, etc on a very regular basis. My interest was piqued! In the past 2 years I have used what little extra money (outside of our family budget) I’ve made from additional gigs to purchase more gear. 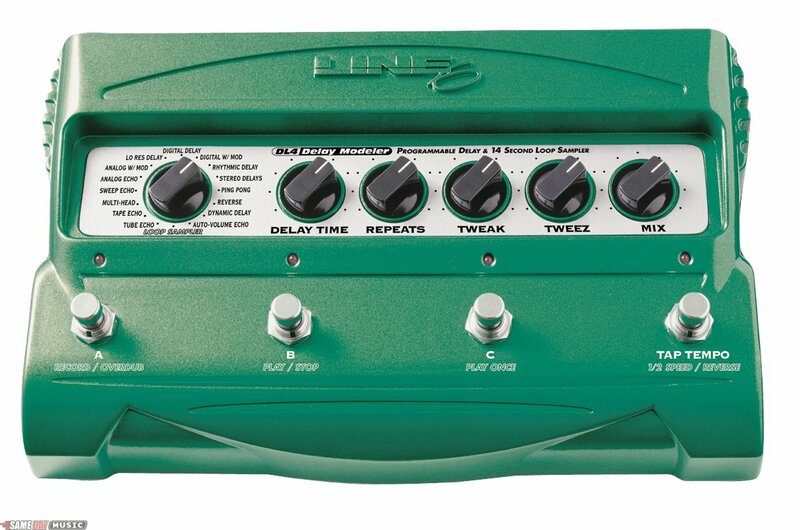 Here is my latest: it’s the DL4 Delay/Loop pedal from Line 6. For my guitarist friends, you probably know what it is and yes, it’s awesome. I’m learning a ton about it and playing with it whenever I get a chance. We incorporated a U2 song into worship last week and if you’ve heard any U2 music, The Edge (their guitarist) uses Delay like a madman in his guitar style. It’s actually much more involved than just one pedal in how employs delay, but that’s for another time… I guess I’m just pumped to be moving into the gearhead world. It’s always exciting to try something new- especially something you’ve always been interested in, but never really tried it out. I know I will never be a quintessential gearhead like other guys I know, but at least I’ll be sitting in their room listening to the talk and playing along. Should be a fun time! Ooo! Pick me! Pick me!